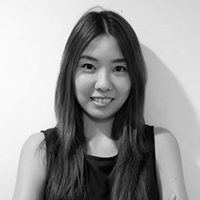 Lily graduated from Bangkok University with a degree in Psychology. With a passion and enthusiasm for in airlines, She had work experience with other local Thai airlines before joining PHAR Thailand in 2012. She has evolved from administration executive to become Senior Inflight Operations, managing all in-flight advertising projects for AirAsia Thailand as well as expanding other media rights in Thailand. She counts advertising, fitness, abseiling and chocolate among her myriad of interests. Lily is also a graduate student at Webster University pursuing a Masters degree.